So, for my Saab Sins Confession, I also drive a classic Porsche 911, a while ago, this got picked up by a fellow Saabist who asked if it would be appropriate to compare the experience? So, here we are, Saab vs. Porsche. This is repost from 2017. The Porsche is ’91 964 Carrera 4, 3.6 flat six, air cooled, modified and tuned to kick out some 280hp, in my eyes, it’s one of the most iconic cars ever crafted, I used to dream of owning a 911, and this was the model that did it for me when I was younger. 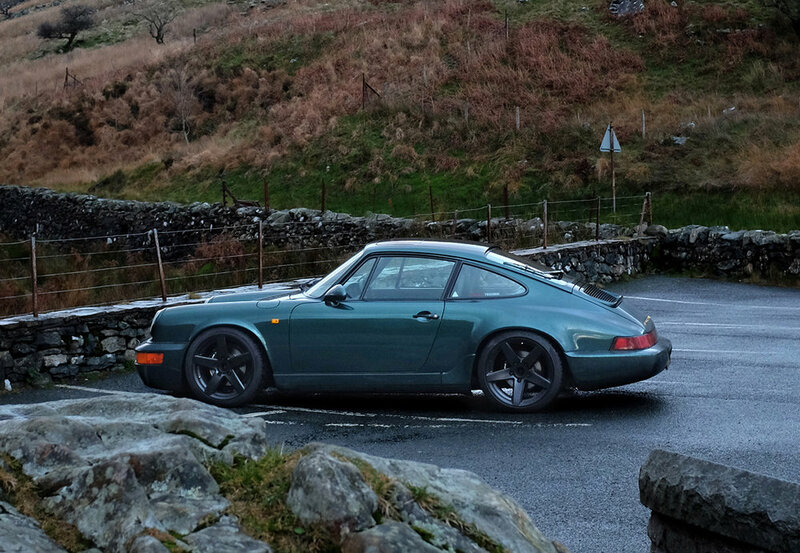 I don’t own the Porsche to have it sitting around, it was bought to use and abuse, all year round, in all weathers, and that’s what I do on a regular basis, I don’t need a destination in mind, I just jump in and head out, often for a 50 – 100 mile B road blast, this is a car bought purely for pleasure. Midway through a recent drive, I got a phone call to collect my son from an estate he works at, the Porsche isn’t the car to go in, so I made my way home, hopped out of the Porsche and in to the Saab 9-3 convertible, with a similar bhp of 300 – it seemed like the perfect opportunity to compare 2 very different (but similar in many ways) cars. I won’t waste time debating the aesthetics of either car, both are beautiful, and imho, neither have ever been bettered, which brings me directly to the driving experience. 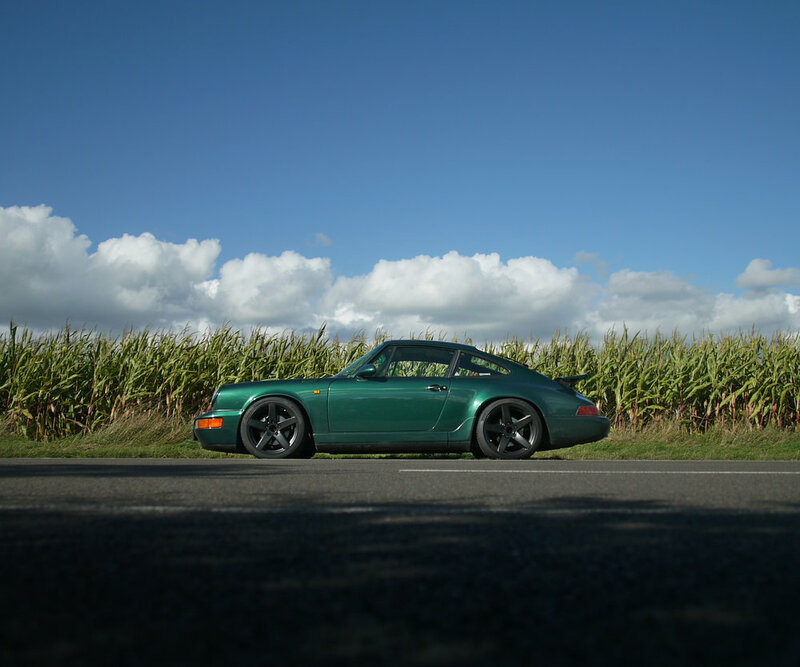 The Porsche is raw, I mean really raw, I like to call in an analogue experience, although it has PAS and ABS, we’re talking minimal intrusion, it manages to connect you directly to the road, you become part of the car quickly and with ease, you feel every trace of the road, every curve. It also feels exceptionally low and rather small compared to most modern cars. The 3.6 air cooled, flat six produces a very distinct soundtrack, the shear noise is heavenly – although reasonably subtle at lower rpm, at around 4000 rpm it breaks in to the purest scream which keeps on building and building right through to 6500 rpm, it really is captivating. The steering is so on point it’s hard to imagine anything better, the gears are again, pure analogue, you feel the beautifully engineered H box as it slips from gear to gear, and the handling gives you the confidence to power on through corners in pretty much any weather. I did a 1000 miles in a week recently, I drove it up to North Wales, through Snowdonia and to the coast, I took it in to the city, to meetings and home again, not once did I get bored. The Porsche is a real, time honoured driver’s car, it has earned its reputation as one of the finest sports cars ever made, and I for one feel completely privileged to be the keeper of one, even just for a little while. 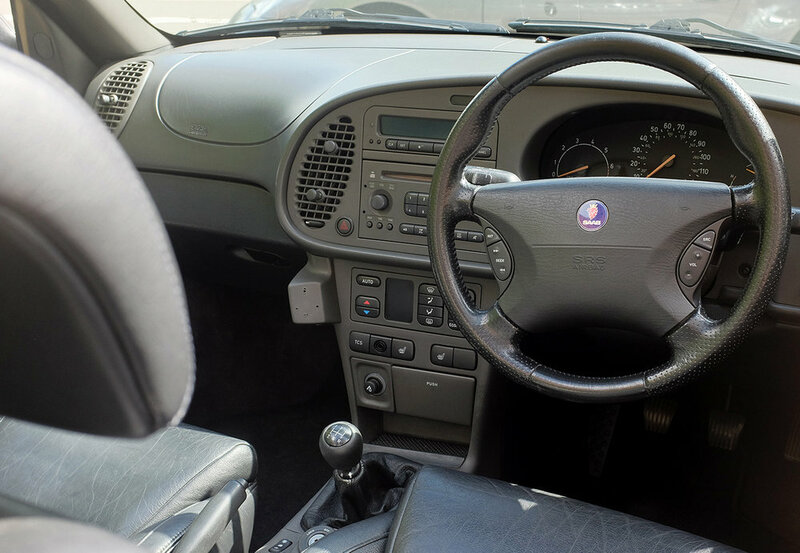 Hop straight in to the Saab 9-3 and I realise just how high it feels, not just its stance, but its general seating position too, high, but also ridiculously comfortable. Everything is easy, the gear change is light and smooth, the steering sharp and accurate, with the suspension work it’s had done, the Saab also handles amazingly well, less analogue, but still manages to feel involved. The power delivery seems utterly immediate, rather than building like the Porsche, foot down and it continues to endlessly pull until it hits 6000rpm, it needs control and attention to drive, less stuck to the road, but equally exhilarating, the Saab feels faster than the Porsche, and although less involving never fails to make me smile. The 9-3 can never compete with the Porsche for sound, although with the addition of the APH downpipe, full stainless steel exhaust and BSR induction kit, it still has a hugely pleasing one with enthusiastic driving. By no means a full comparison, but one that might give an insight in to both cars. Which do I prefer? both. 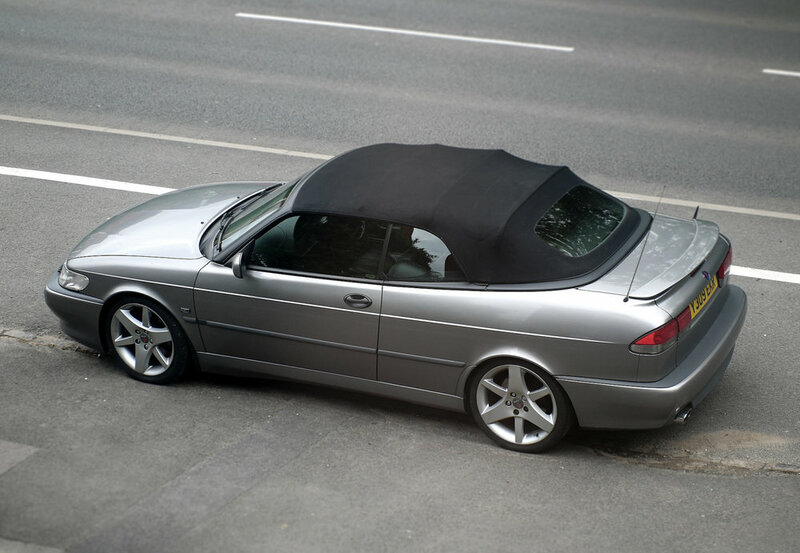 If I’m honest it really depends what mood I’m in, the Saab provides exceptionally fast, easy driving and with the roof down really can’t be beaten for style and pleasure, but the Porsche, the Porsche still offers a unique and uncompromising experience that modern cars just don’t offer.